Nobody likes a know-it-all, unless you're at a bar and it’s trivia night and he's on your team and there's an $800 cash prize on the line. Then EVERYBODY likes a know-it-all. If you've got one, definitely bring him to one of these: the five best bar trivia nights in Macon. 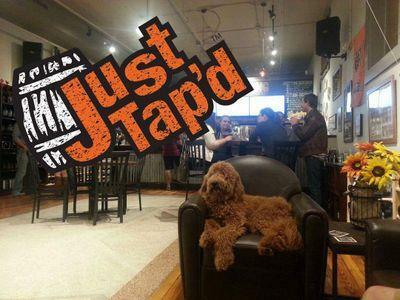 Team Trivia night Thursday's at Just Tap'd. Starting at 8PM, join Just Tap'd for another trivia night brought to you by Brainblast! Your team can play indoors or outside on the patio. Bring all of your friends, and have a chance to beer, gift certificates and other great prizes! Be sure to come early because this event fills up fast! Come make your brain hurt and have a cold beer or wine slushy! Join your friends on Thursdays to see if you have what it takes to take home top prize! Three rounds of trivia (winner of each round wins one drink ticket per person, up to 4 tickets). Ah, Trivia night at Mellow Mushroom on Tuesdays. Good food, plenty of beer, and a chance to empty out all that useless crap that's been gumming up the RAM in your head oh these many years. Yes, you may be humiliated, but then again there's a chance you may come out looking like Einstein. Or what Einstein would be like if he watched every episode of Star Trek, like nine times. Every Wednesday night from 7pm-8pm join your friends at Wild Wing Cafe for Questionnairey Night! With all day drink specials and great food, WWC is an excellent choice for your trivia fix! Bearfoot Tavern has Trivia on Tuesday evenings beginning at 8:30pm with drink specials, prizes and Hot Plate Gift Cards to the winning teams! As always a free pitcher of beer for the best team name so head down to the tavern and try a new brew and win some free stuff! If you're ever confused about where you can eat without going broke, we have a TOP 5 LIST for that!